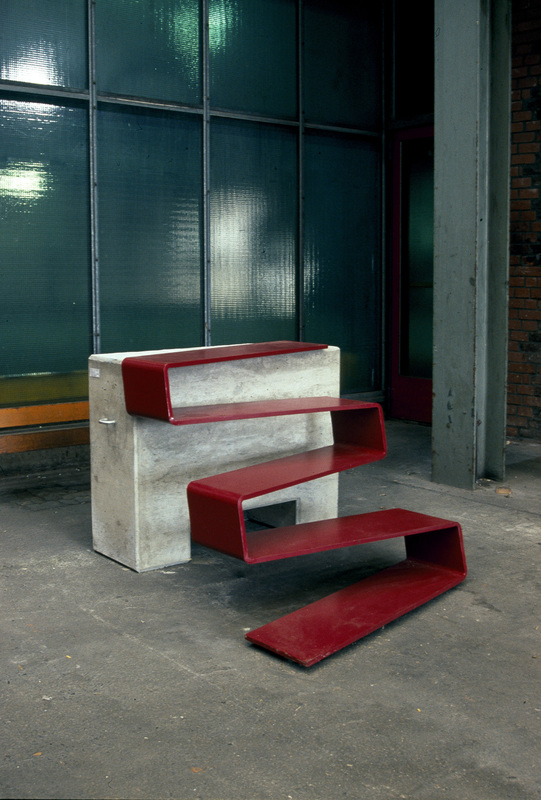 The project Rote Treppe, which stands for red stairs, has been my final graduation work and was finished in cooperation with the Lloyd Werft. The design is based on the theory of a parallelogram with a hollow structure and therefore waives a handrail. 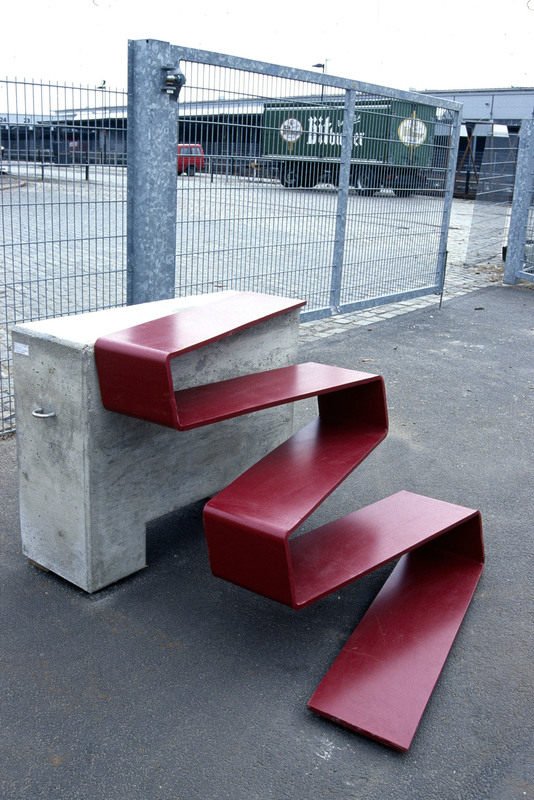 The Design has been awarded by the German Steel Association in 2006 and was featured in an article on the website of core77 in 2007. It has been recently integrated in the interior design of two Czech architects.